Mahjong at its finest! Play one of the 100+ boards, download new boards online or make your own. Mahjong Mania Deluxe Game at its finest! Play one of the 100+ boards, download new boards online or make your own. Expand the fun with downloadable theme packs that add more graphics, music and fun! 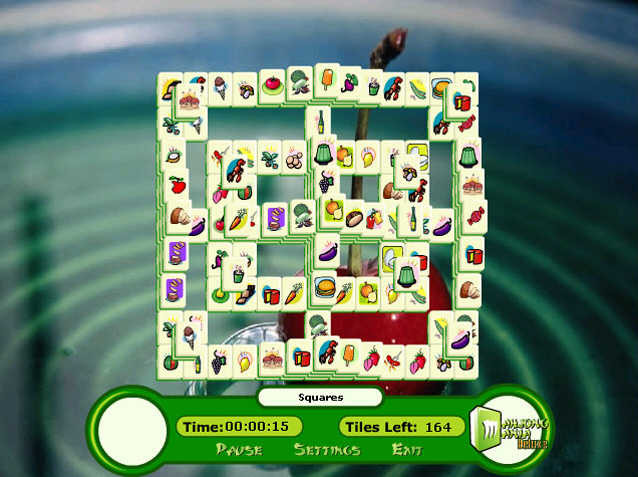 For a full featured mahjong game that will keep you glued to your computer, it has to be Mahjong Mania. Play boards with up to 1600 tiles! Intelligent Cubes II - A site for logic games and puzzles ! new Intelligent Cubes game II is realeased now ! Insaniquarium Deluxe Game - It's the craziest insane aquarium game you've ever seen in this spectacular action-puzzle adventure from the makers of Bejeweled, Bookworm, and Zuma. 3D BigBang - It is the first 3D breakout game which has combined the features of 3D Break-Out Games and 3D Pong Games. Rocket Mania Deluxe - Play the super-charged new version of Rocket Mania Game. STOINK! - Fun to say, even more fun to play ! Snowball Run - Guide the snowball-riding penguin on a bold adventure through 75 fish-packed levels. 1st Go Warkanoid II: WildLife - Break the blocks with this highly imaginative, challenging game! The Virtual Isles - This game combines several game genres in one! Diskolor Game - Diskolor is an arcade puzzle game!